The book Shaken by Tim Tebow is a wonderful read. It is an inspiring story of how God is in control of all no matter what the circumstances–whether your plans for your life are shaken or if they are going as you think they should. It was a very inspirational book that isn’t for profsessing Christians only. One person can make a difference when they rely on God for direction for their actions. Definitely recommend. I was provided this book by Blogging for Books in exchange for an honest review about the book. Back in the Saddle by Ruth Logan Herne was a very good book. It was an easy read that left me in anticipation of the second book in the series. The story was an investor gone bust- Colt- that returns to the family home that he had so wanted to get away from. The family dynamics of the brothers, sick father, housekeeper, and ranch hands are very believable and help to hold interest in the book. Though, the outcome of the book was predictable from the beginning, the story line of how the characters romance blossomed really was enjoyable. I was given this book to review for free by Blogging for books. The opinion expressed above is my true opinion, and was not in any way influenced by others. Together at the Table by Hillary Manton Lodge was a wonderful conclusion to the Two Blue Doors trilogy. In the book Julietta resolves the questions about her family tree that have been dominating her thoughts since she found unexpected items in a cutting table that she inherited from her Grandmother. History took an unexpected turn that drew family members closer together, and also allowed Julietta to prepare for her own future in an unexpected way. Very easy read that drew me in from the first–I couldn’t wait to find out what happened romantically and historically, and was satisfied with the happy ending on both counts. I recommend reading all of the series. I was provided this book for review by blogging for books, but my opinion is my own and has not been influenced by anyone. Safe House by Joshua Straub is a wonderful book about how to help your children to feel safe emotionally so that they will be able to thrive in their environment. It is a Christian book that helps to see ways to encourage children to be responsible, self regulating children and offers assistance to parents that is easy to follow and actually works! I’ve tried several suggestions with my daughter and have had wonderful results. A wonderful read for anyone who has influence over children! Highly recommend. I received this book for free for an honest review for Blogging for Books. Ties that Bind by Cindy Woodsmall is a wonderful book that leaves you wanting to know more about the characters. 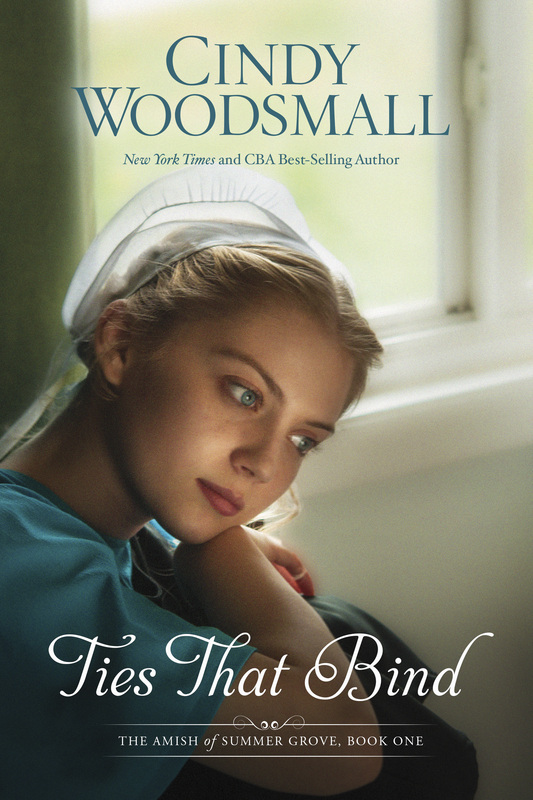 Ariana Brenneman is an Amish 20 year old that dearly loves her family and the Amish ways. She was hurt deeply by Quill Schlabach, a formerly Amish friend that has decided to leave the Amish life and help others that desire to leave as well. Ariana has a twist of fate come into play, and at the end of the book she is being forced to leave the Amish life that she loves. I so want to know what happens next, and can’t wait for the second installment in this series. Easy, and captivating read. I was given this book to review by Blogging for Books. My opinions about the book are my own. 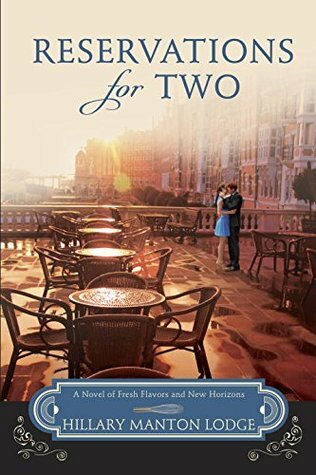 Reservations for Two by Hillary Manton Lodge was a very good read. It is the second book in the Two Blue Doors Trilogy, but if you hadn’t read the first book, you would be able to understand the book. It tells the story of Juliette, a former food writer that is in the process of opening a restaurant, uncovering secrets of her family’s past, and pursuing romantic endeavors at the same time. I would highly recommend this book for a leisurely read. It has taken me a very long time to read the book Thrive by Ariana Huffington. The book has a great premise–there needs to be a better balance between work and home life, but there are a lot of statistical details that caused me to put the book down more than I do most books that I read. I loved how she suggested to have the third metric in our lives. As I read I found myself constantly thinking of my Bible and how Jesus life shows us to live. The third metric seems to line up with the Biblical way of managing time and making priorities other things instead of just work. Interesting read.